Looking to publish your own information product online? Then look no further! Clickbank Cash Cobra is FREE and shows you how to create and sell your information product with ease using Clickbank - no payment buttons or shopping carts necessary! 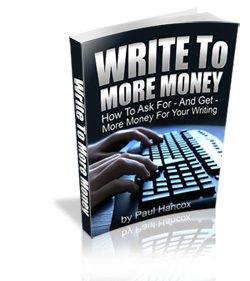 To complement this report and to learn how to command more money for your work, I highly recommend the following report: Write to More Money by Paul Hancox. This exceptional guide has enabled me to start charging more money for my work. I have found this to be an incredibly invaluable tool to command more for the same work.